What Does The Future Hold For The World's Top 12 Cities? 2014 12 Cities World Research Report in which the study examines the top twelve international cities around the globe. We've collated all the information from the report, so you can go through and read a brief profile of what each city can expect over the next five years. The global city holds great potential for the next five years; however its high costs poses a threat to its development. 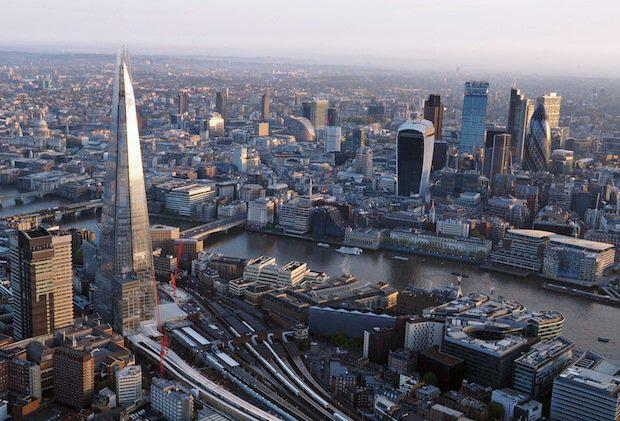 London is rated as the most expensive city to live and work in regards to the residential and office market, with an 18.4 percent increase in residential prices in 2014. This puts the city’s global competitiveness at risk for the future by appearing unattractive to foreign companies. Its potential is marked by new infrastructure such as the two cross-rails that are currently under construction. By 2021 London is expected to grow in population by one million and the cross-rails bring opportunity for development, which will accommodate this growth. According to Savills, London is regarded as the most ‘international’ city, and is expected to continue its high performing status through 2020. Although London holds the title as the ‘most expensive city’, the label is trumped when examining Hong Kong’s residential market where it is 40 per cent more expensive to buy residential compared to London. The study predicts that mainstream property prices will continue to increase, while prime property prices will follow on its recent path of decrease. The city of Hong Kong is expected to receive new rail links and subway extensions, in addition to a 26 mile bridge which will have a positive effect on the city’s residential market in the future. However the downsides to these are the cost; the average expenditure of the city has been exceeded by $30 billion to construct the new infrastructure. This global city is undergoing a period of change, where a demographic shift is influencing the real estate market. The gap between older workers and young entry-level workers is closing, which means there is now a demand for more than just the city apartment or the suburban house, but something in between that holds aspects of both. While this shift is taking place, the city will maintain a healthy economic standing, which according to Savills is due to high occupier demand as 68 per cent of households in the city rent. According to Savills, the outlook for Paris is unfortunately bleak, with the city’s past poor economic performance continuing into the future. The reasons for this lack for improvement can be attributed to increasing office rent prices and limited development opportunities due to lack of supply in the city centre. Dislike of the Parisian government has resulted in a weak domestic market, which opens up opportunity for foreign buyers to exploit the market. The upside to the future of Paris is the tourism industry, which will continue to allow luxury retail investment to boom. Over the past decade Tokyo has suffered from a weak real estate market, however the city saw a year of change in 2014. In just the first half of 2014 residential capital increased by 3.1 per cent and office rents rose 5.4 per cent. This is the beginning of an upward trend in rent for the next five years. A surge in foreign investment in 2014 is likely to continue, providing assistance with funding urban renewal. The 2020 Olympics will act as a tool to motivate development, which will in turn encourage moderate economic growth for the future. Singapore is well known for its high tech infrastructure, allowing it to be ranked as number one for the ease of doing business. The city holds a strong business and office sector, which will remain as a strong advantage for the city. The mainstream market is expected to flourish, with rent prices increasing by 7.3 per cent in 2014, being the second highest increase in the world. This places risk on affordability, which may force market controls to be imposed, but overall the outlook is good for Singapore. This city is expected to continue its heavy reliance on its domestic market, with demand and investment flowing from within the city. A steady decrease of foreign occupiers have influenced this dependence and reduced demand for office space. The 2018 FIFA World Cup will stimulate growth with projects for new infrastructure and urban renewal. There is opportunity to utilise and redevelop industrial areas of the city into residential space. Sydney, especially its CBD area, is appearing extremely attractive for the next five years, Savills reports. A strong residential market is expected to continue, which is a result of low vacancy and low interest rates. Sydney also has one of the world’s highest yields, which ensures it remains a popular investment choice. There will be an increase in owner-occupier demand due to rising demand for inner-city apartments. The city should be cautious of relatively low levels of economic growth and slow residential price increases. This global city is set on a positive path with nothing but strong economic growth predicted. Political standing is an influential component on the market and with a stable status the city can continue to flourish. The World Expo in 2020 is expected to generate US$40 billion for the economy, in which major urban renewal and infrastructure projects are planned such as an extension to the Dubai metro. This will open up several residential and retail development opportunities. High rates of investment from Western countries will also contribute to this development. Shanghai can expect weak economic growth for the future; however this will depend on government reforms. A free trade zone is currently under trial in which its outcome will affect a number of economic reforms. There is more freedom within local government as increased input has been established. If these reforms are approved, economic liberalisation could result in a growth increase. The mainstream real estate market will continue to improve, and according to Savills an increase in authentic Chinese architecture may occur. The city is currently between economic growth spurts, in which the growth brought by the World Cup has slowed and the wait is on for the 2016 Olympics to begin generating more. The Olympics have also accelerated urban renewal projects and infrastructure development such as sanitation and metro system improvements. An increase in the middle-class population places high demand on real estate, however the city lacks development space to accommodate society’s needs. The city will continue to see high interest rates, low residential affordability and low price growth. A positive future for Mumbai is expected with a stable Indian government that is attempting to improve its real estate outlook. Limits on foreign investment may be lifted to encourage an increase in the sector and bring in more capital, especially in the commercial market. In regards to infrastructure, the first stage of a new metro system was completed in 2014 with more developments underway. The system has already influenced the real estate markets with prices changing in the areas that have now become more accessible.